Annual vegetable varieties for a short growing season have to be quick maturing. 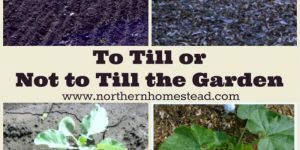 Growing a productive garden takes time. 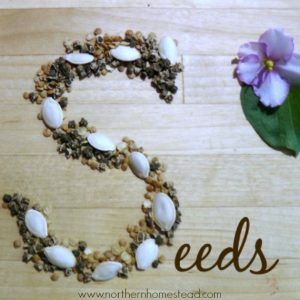 Seeds need to be planted, germinate, established, the plants have to mature and produce fruit. In most parts of the world, there is plenty of time for this. 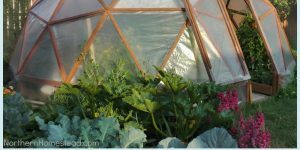 The garden is planted in spring, grows all summer long, and is harvested in the fall. In short growing season areas you don’t have a spring, maybe not even a fall, so all you got is summer. Only 100 or less frost free days are challenging. 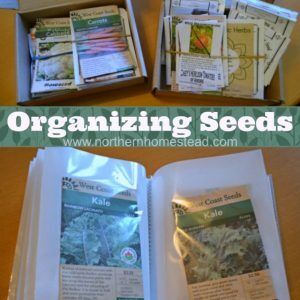 It requires a very organized gardener and plant varieties that grow and produce quickly. According to Environment Canada officially we have 107 frost free days. 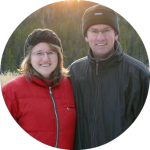 Here is a link for Canada and USA frost free dates to find out what your area has. 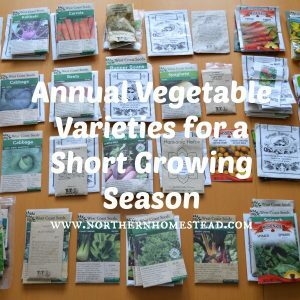 Today I want to share some of these annual vegetable varieties that are suited for short growing seasons. We have grown most of them successfully in our garden. 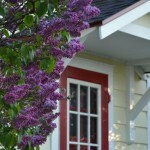 This list is not exhaustive, there are many more plant varieties that are suited for a short growing season. We have tried quite a few and if we were to list them all here it would make a very long list. Also, if some plants did not do well, they did not make it into this list. I will add and remove varieties as we experiment more with them. 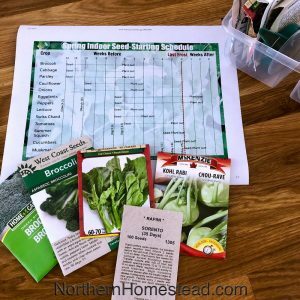 I want this list to be up-to-date, with plant varieties that are worth growing. Purple Peacock (60-70 days for snaps) Beautiful and delicious Pole Bean. Yellow Bean Roma Gold (55 Days) Reliable early bush bean. Dragon Tongue Bean (60 Days) New to try bush bean. Pole Beans Scarlet Runner (65 Days) Beautiful as a flower and edible at any stage. Black Turtle dry Beans (85 Days) A dry bean that matures in our short season. Tiger’s Eye Bean (95 Days) Very yummy dry bean that does mature in our short season. Cylindra (50-70 Days) Our favorite. Bull’s Blood (58 Days) Pretty edible leaves. Beet Chioggia (58 Days) A new favorite. Calabrese (60 Days) A classic. Rapini Sorento (35 Days) Early, can be grown indoors in the winter. Early Jersey Wakefield (63 Days) Early, start early too. Early Copenhagen Market (65 days) a classic. Red Jewel (80-90 Days) Great middle sized red cabbage. Early Snowball (50 Days) Early classic. Scarlet Nantes (65 Days) A must-have favorite. 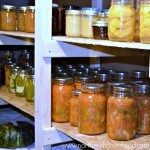 Red Core Chantenay (65 Days) Huge, great for preserving. Straight 8 (60 Days) A classic. 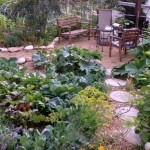 Patio Snacker (50-60 Days) Great for small space, a favorite. Lemon cucumber (65 Days) So yummy pickled. Cucumber Holland Greenhouse (64 Days) For indoor growing. Aunt Molly’s (70 days) Great producer and keeper. Eggplant Fairy Tale (49 Days) Productive. Blue Curled (65 Days) Great for kale chips. Lacinato (65 Days) Huge plant. Winter Red (50 Days) A favorite, we grow it indoors all winter. Black-Seeded Simpson Lettuce (45 days) A classic. Red Sails (66 Days) Great looking and grows well. Tropicana (55 Days) A favorite. Butterhead Lettuce Esmeralda (53 Days) Grows well indoors. Spanish Candy (85 Days) Great yellow onion, stores well. Greek Salad (105 Days) Good red onion. Peas Homesteader (65 Days) A classic. Tom Thumb (50 Days) Very early. Early Jalapeno (70 days) Productive. Doe Hill (60-65) Very tasty and beautiful yellow tomato pepper. King of the North (70 Days) A pepper that actually matures in short season. Supper Chili (65 Days) Hot, productive. Orange Bell (85 Days) Tasty. 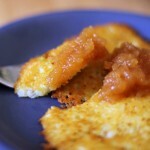 Radishes French Breakfast (25 Days) A classic. Bloomsdale (50 Days) A classic and favorite. Bright Lights (40 Days) Beautiful. Spaghetti Tivoli (74 Days) A small plant, very productive, early, tasty. Burgess Buttercup (85 Days) Great all around. Courgette Cocozelle (45 Days) Looks like zucchini, very productive and delicious. Zucchini Dark Star (50 Days) A great keeper. 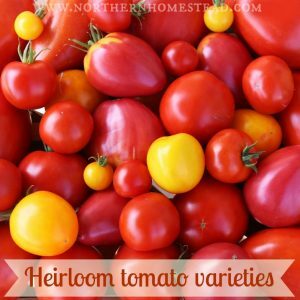 We have grown many tomato varieties, you will find them all in an extra post: Tomato varieties we grow. 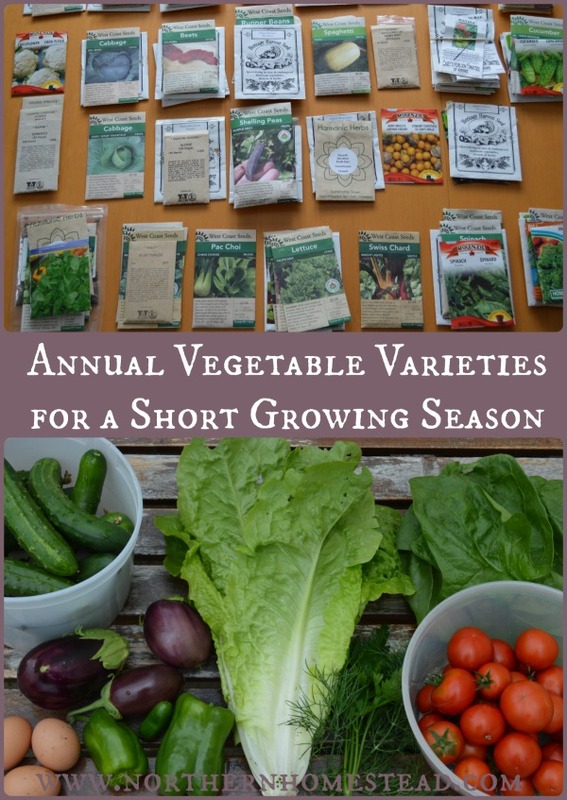 If you have short season vegetable favorites that we have not mentioned, feel free to add them in the comments! I’m always looking for vegetables with a short growing season. I think we have around 100 frost free days, perhaps a little less. Funny to see that some of the varieties are the same even half across the world. I’m going to have a hard time to fit everything in my growing beds, I’ll have to expand the vegetable garden a bit. I ques if a variety is really good and proven to grow well it becomes popular around the world. I hear you on needing more space. It’s a constant battle here, too. There are so many good things to grow! Thank you for sharing your list. Mine is very much the same except I haven’t been successful at cucumbers except for the round “lemon cucumbers”, only cherry tomatoes and that is still pretty poor, no peppers, no eggplant, no melons. I’m thinking I’m just not getting enough heat and that might require me to go with a black plastic ground cover so many are using these days. I’ve never tried Ground Cherry but I’m going to give it a try this year. I got 3 snows this month and a pretty good long freeze, looks like there’s some losses in pots, think I lost my baby fig tree. Sorry to hear about your fig tree. Growing heat loving plants in cool climate is challenging. Use micro climates, windbreaker and thermal muss. 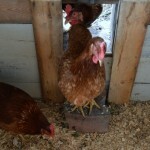 Here is a good read for you: http://northernhomestead.com/micro-climates-in-a-northern-garden/. I did read your article before but it’s always good to reread. Dealing with a small(er) yard, it’s challenging, but when that cold comes down the Frazier River from Alaska….somethings gonna die! I stuffed all I could into my garden room and there’s no more room and I looked at the little fig and hoed & hummed about dragging it to another area but because it was in such a huge black garden pot (10 gallon) I thought it might make it and I wouldn’t have to move it. My plan was to keep it contained and dwarfed. It didn’t cost me anything because it was a sucker of my neighbor’s big fig tree….and they are gone until April 3rd! ……think I’ll mosey on over and see if I can find another sucker! I’m planning a garden at 8,000 ft elevation in Manitou Springs, Colorado. Up against Pikes Peak. Any help/encouragement would be helpful. Thank you very much. Also, I’m exploring straw bale gardening because of heat generated at the roots. Congrats on your garden plan. 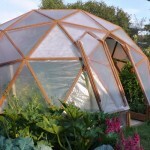 There is lots of info on this blog about cold climate gardening. 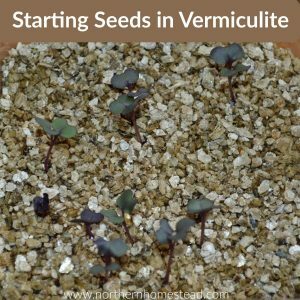 If you are new to gardening I would recommend starting small. You can always grow as you go. Happy gardening! Right below you in Eureka Montana. I have enjoyed your blog. 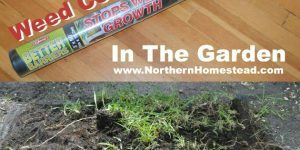 I need help for the shorter, dryer and colder seasons as we moved from western Washington. I am sure that what you say will be a great help in our growing future! Short, dry and cold sounds very much like our climate. There is lots of information on here, just keep reading and learning.